Have you ever wondered how your newsletter gets produced and sent to you? 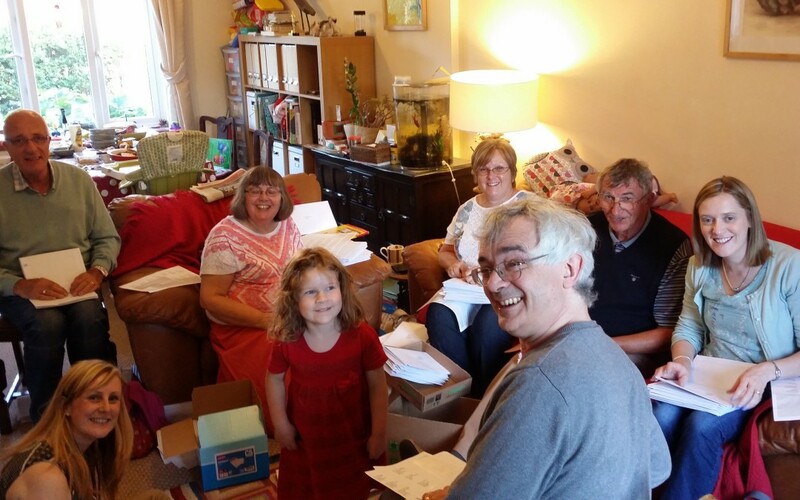 Well here’s where it all happens – the Action Committee and friends spend a busy few hours folding and stuffing the newsletters and any flyers into envelopes which then have to have an address sticker and stamp applied by hand. 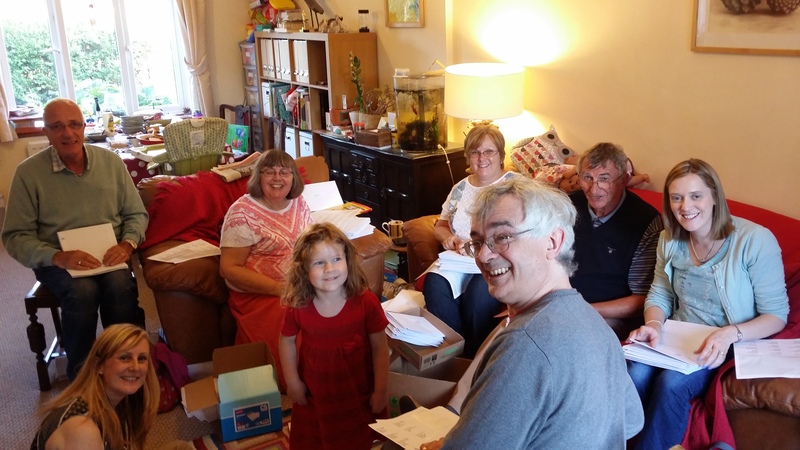 The newsletter stuffing evening is now a feature of the Trust calender, and saves us an enormous amount of money compared with using a commercial service. It’s also a great excuse to eat lots of cake and have a good natter!